Kazuma Kiryu isn't done yet with his remastered comeback on PS4 as SEGA announced this weekend Yakuza Kiwami 2 will hit Sony's console in the West on August 28th. 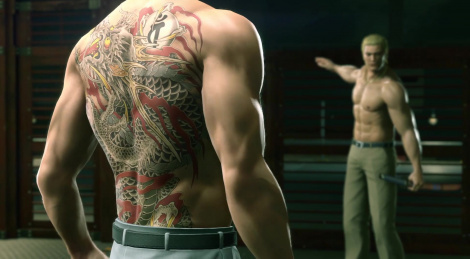 The re-creation of Yakuza 2 features a new campaign focused on Goro Majima and new mini-games. The title will launch at $49.99 with pre-order and first-run copies coming with a steelbook. Details, screens and trailer inside. IRVINE, Calif. - March 17, 2018 - It's been a full year since Kazuma Kiryu took his leave from the world of the yakuza during the events of Yakuza Kiwami. 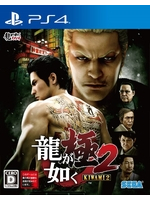 Fate, however, has other things in mind for the legendary Dragon of Dojima, and Kiryu finds himself back on the front lines of a potential all-out war, as SEGA proudly presents Yakuza Kiwami 2, one of the most beloved storylines in the franchise's history, remade in full HD for the PlayStation®4. From the global development studio that introduced the world to Kazuma Kiryu, Ryu Ga Gotoku returns in high form with Yakuza Kiwami 2. The game will be releasing both physically and digitally on the PlayStation®4 on August 28, 2018 for $49.99. That's not all, though - pre-orders and first-run copies of Yakuza Kiwami 2 will come in an elaborate SteelBook® featuring Kiryu and his fierce rival, the Dragon of Kansai, Ryuji Goda. Huh. Cool. I wonder if they're going to remaster the entire rest of the series for the west, then? Certainly wouldn't complain. They have my money if they do. One of my all time great franchises. Yet to play Y0 and Y6, but this had the best story in the series. Ending was cliche though.